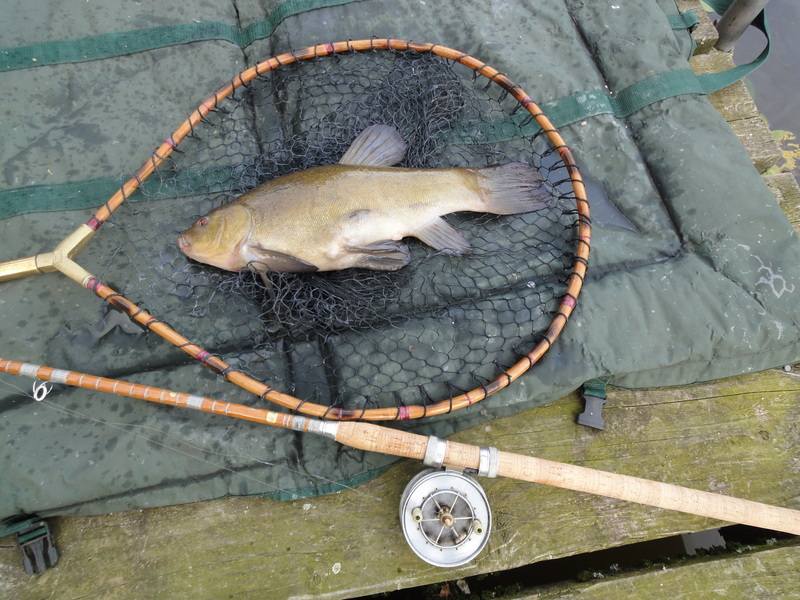 Do traditional tench waters still exist? 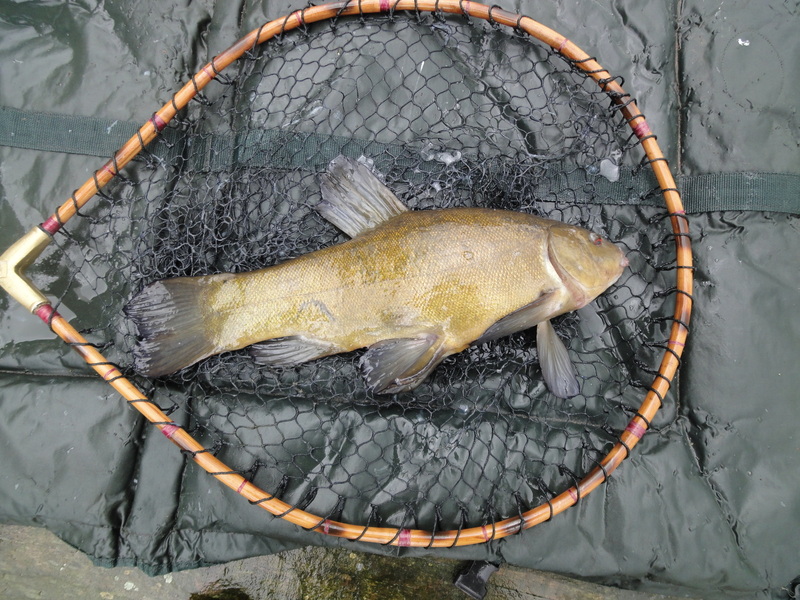 This forum is for discussing tench. 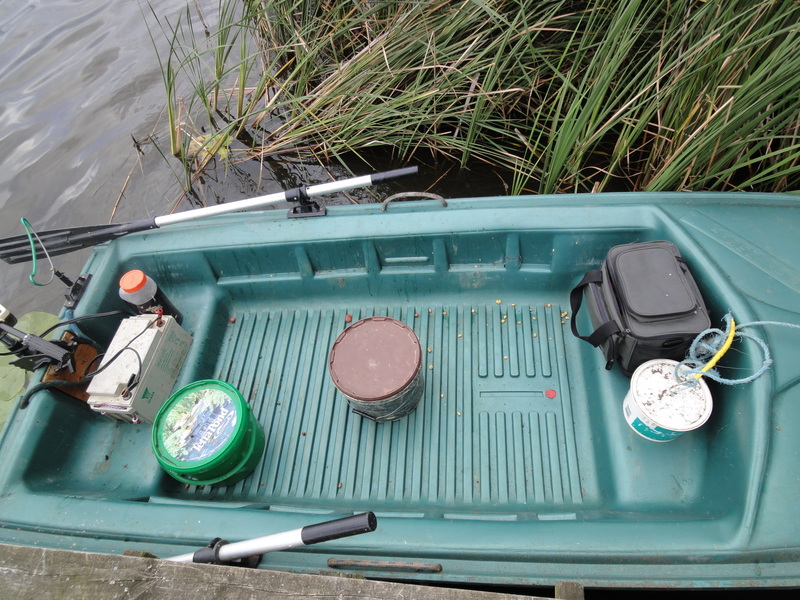 Re: Do traditional tench waters still exist? 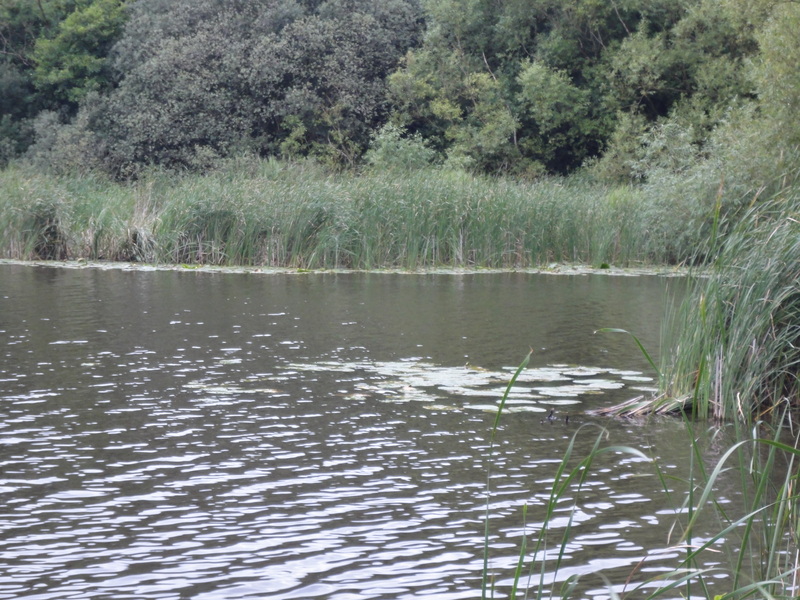 Old Estate Lakes are where you will find proper Tench up to 7lbs or so........not those bloated things you see in the comics from some God-forsaken gravel pit where enforced camping is required to catch the blighters. Now that's a proper fishing venue! Does someone keep the lillies in check like that all year, Moley? They do still exist......just harder to find. 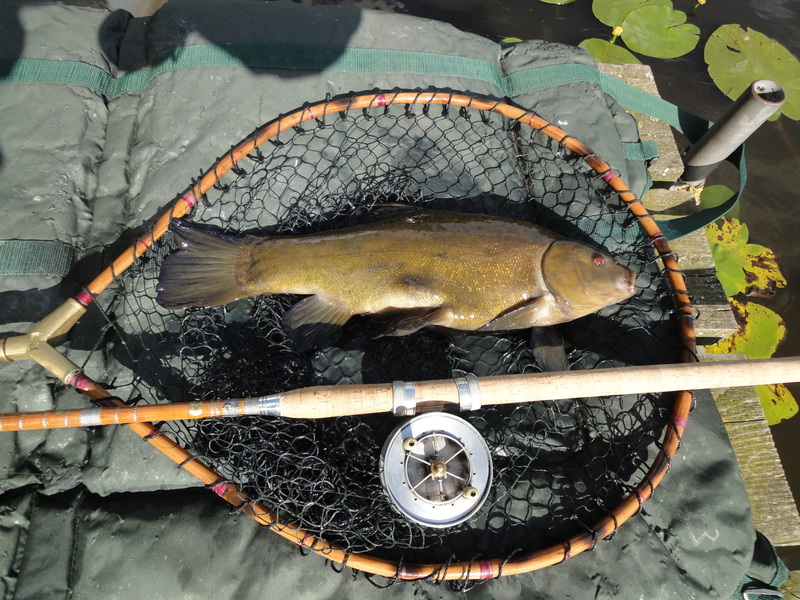 I fish a natural Mere and the tench fishing is superb. It is a Syndicate of around twenty anglers and the Mere is rented by the Syndicate off a farmer and access is through his farm so strictly controlled. I was down there last week for 4 days, which was a week of high winds and driving rain showers. 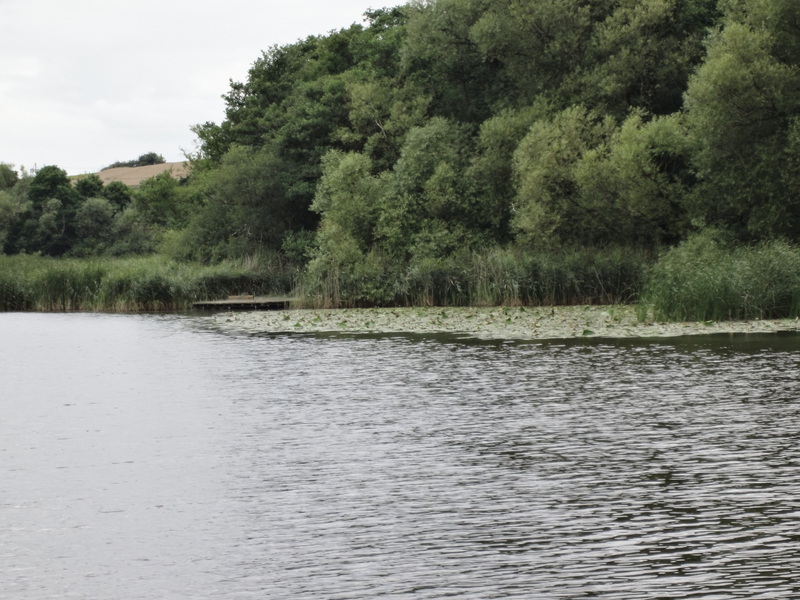 The Mere is fringed with reed beds some thirty foot deep, forty foot plus in some places so platforms are the only way to fish it unless you have a boat. One side of the Mere can only be accessed by boat but the other side has a wooden walkway through the woodland which is like something out of the Everglades with thick silty swamps. Not unusually I was the only one on for the whole time I was there. This the norm. I have joined again this year after an eight year gap as I explored other waters but I always knew I would be back. The busiest I have even seen it was once over an August Bank Holiday weekend when there were 5 people on, most of the time nobody mid week, and maybe one or two of a weekend. Ideally you need a boat to access all the best places, but there are around 15 platforms scattered around the Mere. 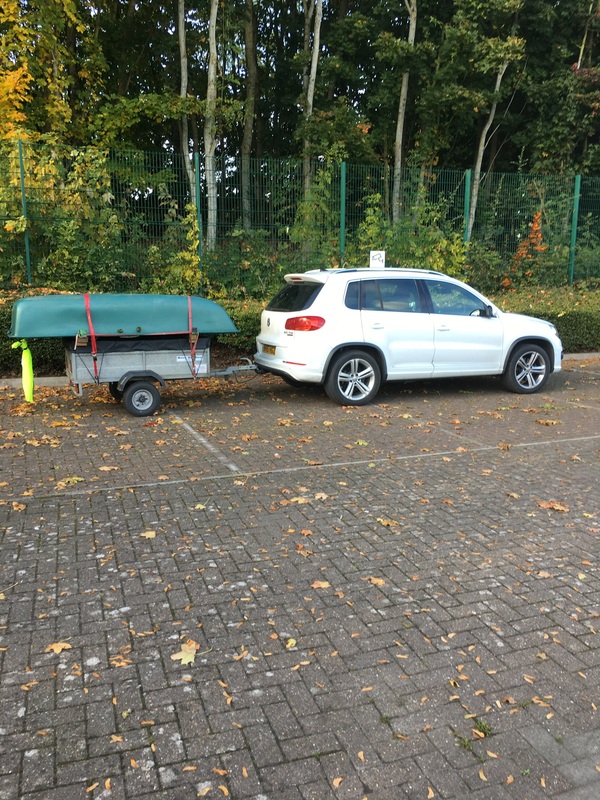 Unfortunately when packing up the car and trailer I forgot the second anchor. 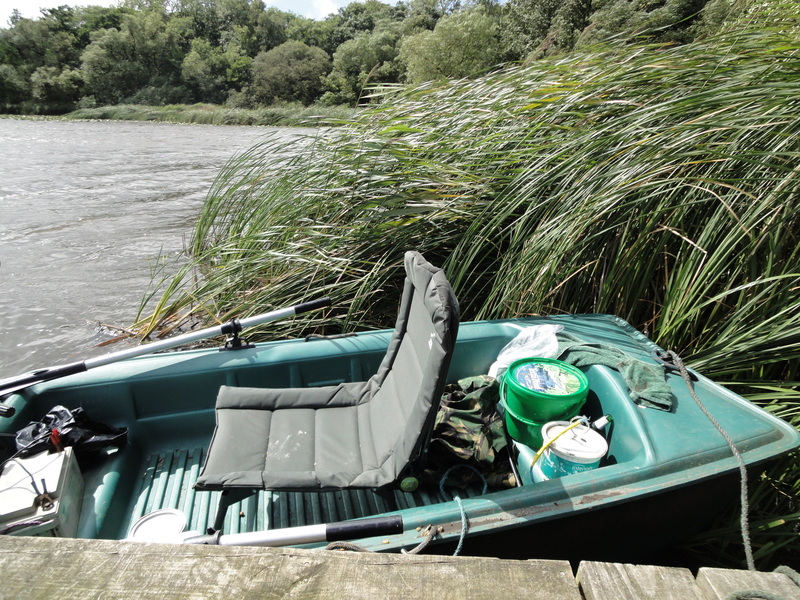 Out on the Mere with the high winds, using a single anchor meant I was swinging around like a frustrated suburban housewife, making float fishing nigh on impossible most of the time so baited up swims from the platforms and fished from them. This was one of the swims I fished. As you can see from this pic it can get a bit wild. 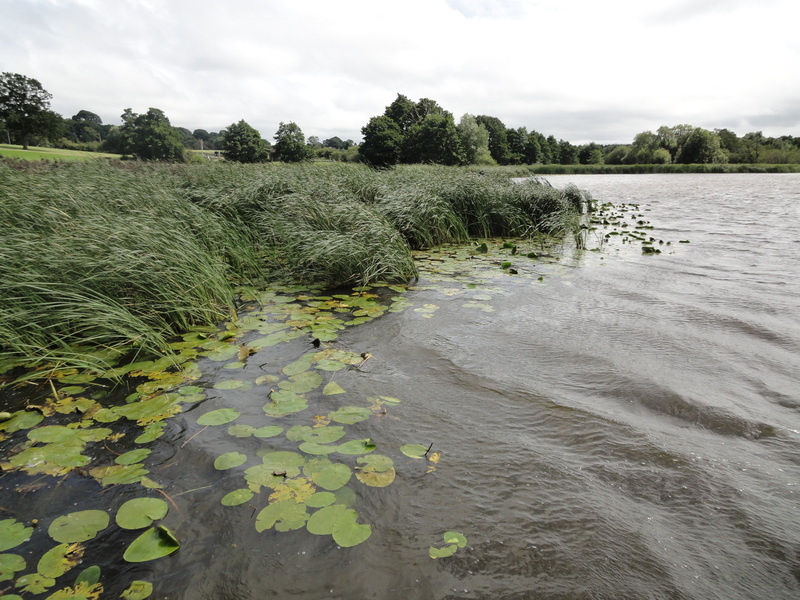 As well as the Tench there are Roach, Bream, Perch, Rudd and Crucians Pike (too many jacks) and Carp, all of which grow well in the aquatic soup that they swim in. In addition I've never come away from there without seeing some wonder of nature, from swimming grass snakes, kingfishers sat on the rods, or thousands and thousands of starling wheeling around the skies in formation describing weird patterns in unison. On a final note to even things up a bit, the fantastic work done on the walkways, platforms and fencing is solely down to the Syndicate, of which around 15 are dedicated carp anglers, the other 5 being non carpers or fish for all of the species. It started life as a carp Syndicate before people who just coarse fished enquired about joining, also fed up with the commercialisation of waters. 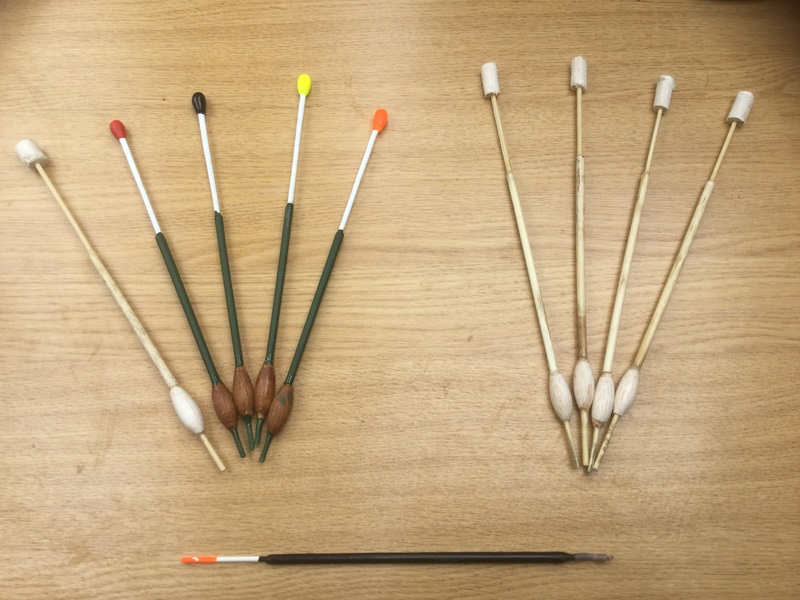 But initially it was the carpers who had the nous to band together and approach the owner. Without the carpers this little bit of heaven wouldn't exist. Yes bivvies are used but it is as far from a commercial fishery bivvy city as you can get, and that includes outlook, behaviour and manners. Edit: After the high winds of last week I realised I needed a specific float type to deal with these conditions as the Mere is exposed to the prevailing wind. 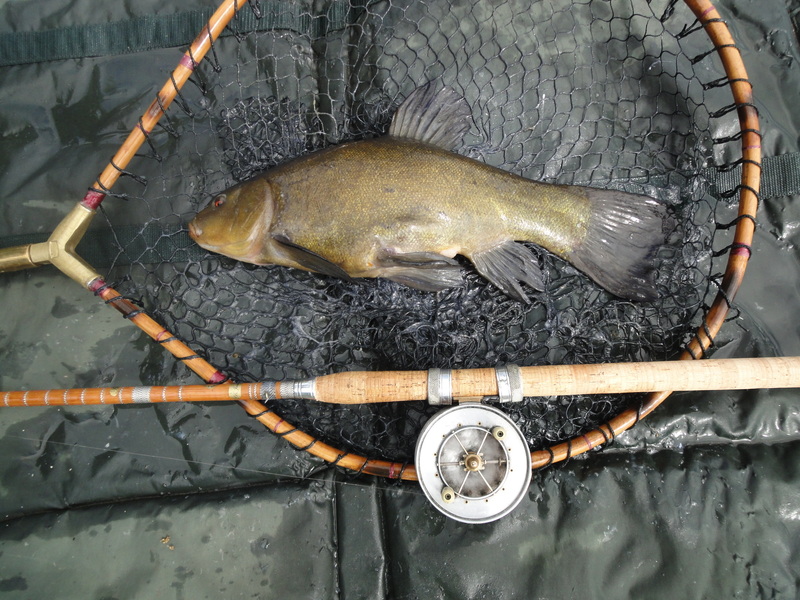 So these Tench lifters are now under construction for the next visit. The float I was using was a simple peacock insert made by me in 1973 and is the black one at the bottom of the photo. In a word yes oh great Nobbler. The lillies are kept in check every so often or they would take over. Thanks for the reminder and photos Neil; I think the float design will work nicely. Just half way through a month in the Aegean so no tench fishing for me .... plenty of traditional Calamari though .... good to see the results of your and fellow "Carpers" hard work there.